LAPD Deputy Chief Gary Brennan, retired, and a DRPO supporter, states, “Our purpose is to provide officers with a retreat, offering respite, relief and an opportunity to seek some balance from the often emotionally and physically challenging career [of law enforcement]." "Work and pray", the motto of the Benedictines, is one that Fr. Mike likes to use when talking about the Desert Refuge for Peace Officers. 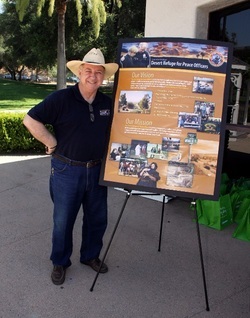 Reverend Michael McCullough is the Executive Director of DRPO, a center located in the desert community of Joshua Tree, California. This special place is the vision of Father Mike, a Catholic Priest, LAPD Reserve Officer and law enforcement chaplain. Through 37 years of ministering to the law enforcement community, Father Mike was led to establish and offer a place of rest and healing to police officers and those who support law enforcement. Father Mike's vision began in 1986 when he realized that those dealing with the stress of police work needed a place to go where healing can occur. In an article published in LAPD publication The Blue Line, Fr. Mike states, “The purpose of the Desert Refuge is to teach . . . ‘solutions’ to burnout, hopefully in a pro-active way. We hope to deter suicide and cynicism before they become a fact.” At the Refuge, with no TV and other electronic distractions, people take the time to focus on their spiritual needs. 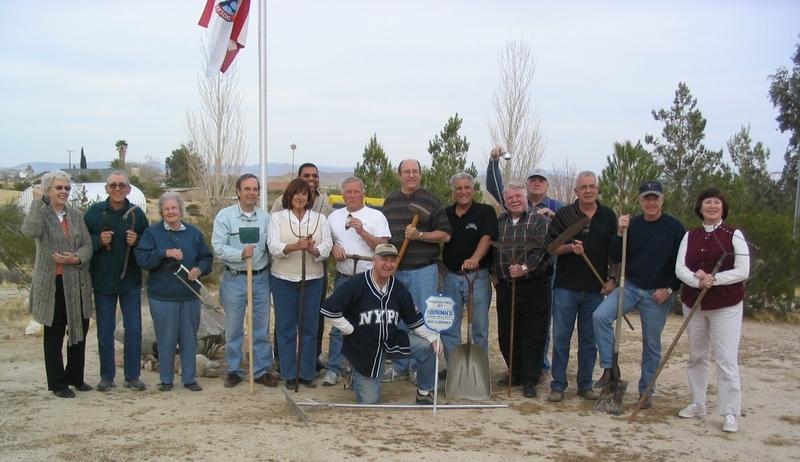 Work parties contribute to the upkeep and maintenance of the meditation sites and the 70 plus trees planted by Fr. Mike and previous work parties. Physical labor provides the opportunity to think and listen and heal. Says Fr. Mike, “There is unbelievable beauty in desert simplicity."